What’s the difference between the original and sequel versions of Microgaming’s world famous Thunderstruck Slot and which is better? We take a look and do the math for you! 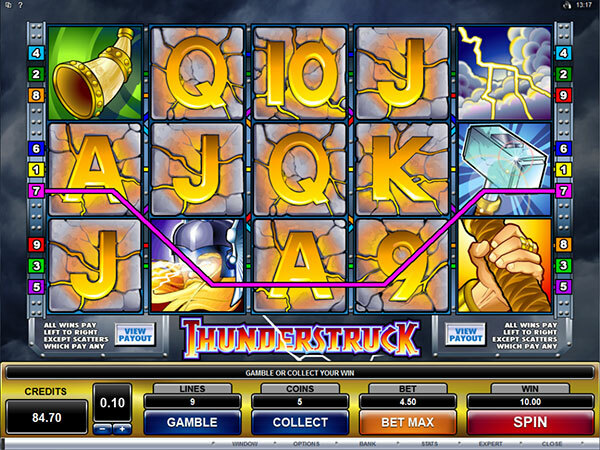 Microgaming’s Thunderstruck slots is a two part series themed after Norse mythology. The original game, a five reeled slot with nine pay lines and at the time of its release was one of the most graphically advanced slot games of the day. Thunderstruck slots has a non-progressive jackpot of some 10,000 coins which for the day was almost unheard of. There is even a second jackpot available in Thunderstruck slots which comes in itself at a very delightful 2,000 coins. The castle, fist, hammer, horn and lightning bolts are all prominent symbols in this game of the gods, as are the high card icons. Thunderstruck features wild cards, scatter symbols and does have free spins featured. By contrast, its far more popular sequel is a five reel, two hundred and forty three pay line online slot game. This release was the one that cemented the Thunderstruck franchise as a classic online slots series. 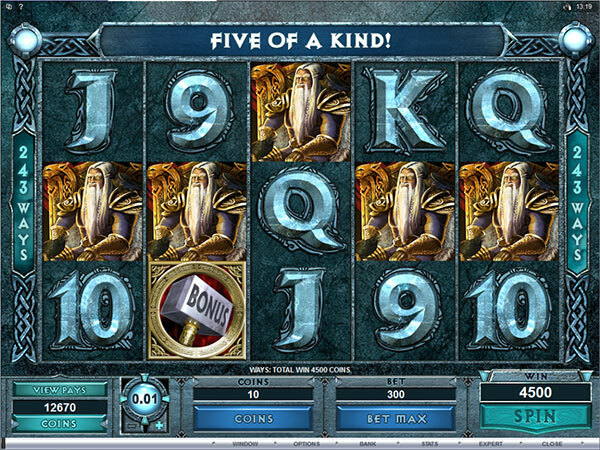 Although Microgaming’s second Norse themed game is again a non-progressive jackpot slot worth another 10,000 coins, it does come with added trimmings to make the game different than its predecessor. Thunderstruck II has a bonus round incorporated into its game play as well as wild symbols, scatter symbols, free spins rounds and multipliers. The betting range in this sequel varies from a low 0.03 up to 15.00 per spin. Most of the original symbols return for Thunderstruck II although some new icons have been added to freshen things up a tad. More Norse gods make their appearance in Thunderstruck II, including Loki, Odin, Raven and Valkyrie alongside the traditional thunder god Thor, who appeared in the first game. Thunderstruck 2 is one of Microgaming’s most popular games of all time and can be found on all online casinos that use Microgaming’s online slot games.